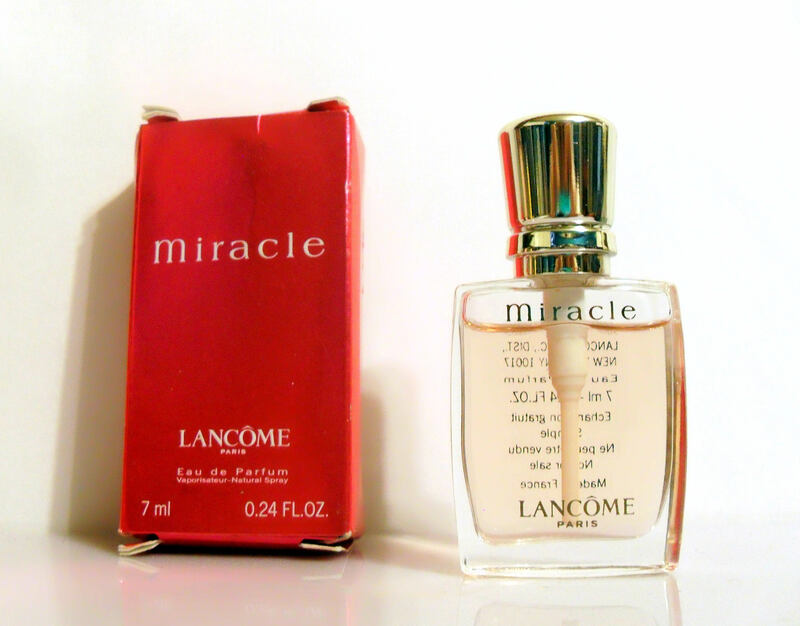 Vintage Miracle by Lancome 0.24 oz Eau de Parfum Spray Mini Miniature Perfume and Box. The bottle is about 95% full - see the photo for the actual fill line. This is the perfect size to keep in your handbag or to use for travel. The perfume is old and no longer fresh. The box has a little wear and tear from storage. Launched in 2000. It is classified as a fruity floral fragrance for women.